Thought it needed a new one...Forgot last year. Edited 2 time(s). Last edit at 23/03/2019 21:34 by Grockle. 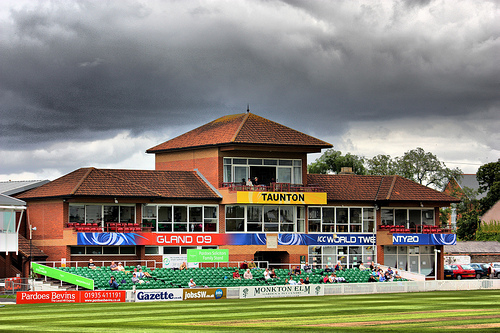 For those who don't read the SCCC site World Cup games at Taunton are on 26 & 29 June and 2,6,8,12 & 15 July. Anya seems to have become a real force on the international scene. No Kathy Brunt I see - is she injured, do we know, or are they saving her for the real ting? She played in England's previous warm up match Mike so hopefully just rested today. Also good to see Sarah Taylor back in the squad. Congratulations to Amelia Kerr, playing for NZ today in the World Cup. She is the first player, female or male, born in the 2000s to play international cricket. Having been unable to access the board for just over a fortnight it is posts like LoL's and that of the Yorkshire follower that make me feel that perhaps catching up on missed threads has been worthwhile. I normally follow and greatly enjoy Farmer White's contributions, but in my current mission I must confess to having skimmed one or two of them! I doubt all the posts make you feel that way Bobstan but glad to read that there enough for you to make the effort. Is it an addiction. Grock? Worrying. It probably is Bob but what can ya do? The club do know there's a Women's World Cup match on today don't they!! I can't find any details on the club website about it, when do the gates open? 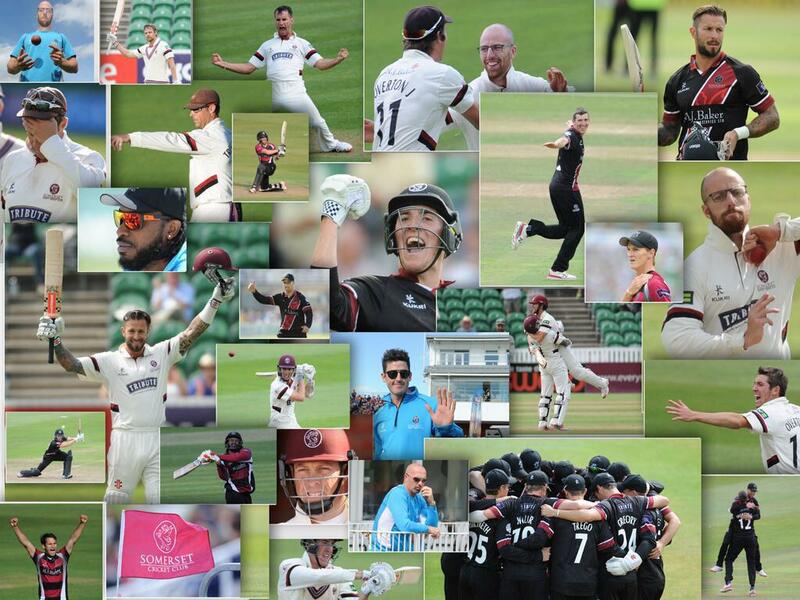 I ask the club if I can take photos because this competition comes under ICC rules I was told NO! The list of restriction on the gate outside says I can if for private use. By the way the list of restriction also include 'No Umbrellas' and 'No Animals', so if it rains you get wet and there will be no barking dogs. (to be honest the only barking dogs is the person with three dogs and rest are normally quite, it is good to see the dogs when they are well behaved). Edit - It's on the website now. Edited 1 time(s). Last edit at 26/06/2017 10:16 by Mike TA1. But at least one of the three isn't his Mike. Gates open 2 hours before the start of play, and yet for our 50 over matches when attendances are much higher they only open 1 hour before the start of play. I know the answer is the game is controlled by the ECB and not the club. Perhaps our new C.E.O will rethink our gate opening times for 50 over games for next year. My experience has been similar to Bobstan's, as I was out of email contact for about two weeks. I trust I will be forgiven for not reading every single contribution posted while I was away, though I did make a point of reading FW's match summaries. And I particularly appreciated that positive and generous posting from our Bradford friend. He clearly enjoyed our Somerset hospitality and in reciprocation I can say that when I was unfortunate enough to break my leg rather badly in the middle of a cold winter over forty years ago when staying in his city (to which I was confined for the next six weeks) the kindness and warmth of his fellow citizens could not have been bettered. Most of my time away from the sit was spent in Cornwall, much of it in atrocious weather. It was the week of the election and Penzance was full of posters for the (unsuccessful) Lib Dem candidate. I saw only one poster for a rival party and that was a Labour one sitting in the same window as a Lib Dem one. Knowing of the boasts that Bagpuss has made of her speedy skill with the secateurs, I wondered whether she has now engaged in a new and profitable extension of her career on frequently seeing signs beside Cornish roads saying "Cats Eyes Removed". Edited 1 time(s). Last edit at 26/06/2017 15:29 by Loyal of Lhasa. Australia batted well today to beat the West Indies. Not many watching but a large group of school children added to the atmosphere. Seems that tomorrow's game of India v the West Indies has already been written-off by the club as the SCCC site says that the next game is Sundays England v Sri Lanka. 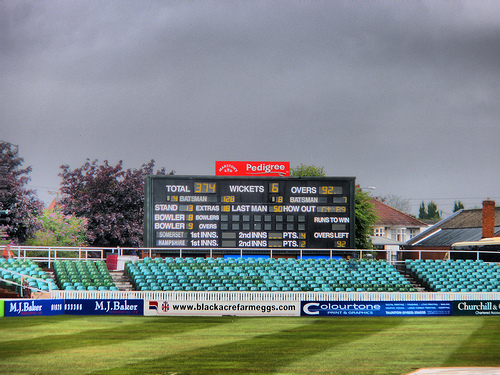 Although it has rained all day in Taunton it's surely a bit premature and not very welcoming to tomorrows two sides. Very impressed with India yesterday good in the field, very good spinners and two very classy batters. The West Indies again just like against Australia seemed to lose concentration in those middle overs and it cost them again. I'm very much enjoying the competition the women's game has come so far, even in just the last 10 years the improvement is massive. Its just a shame that a few more have not come through the gates so far. Isn't India's skipper also the best batswoman in the world at the moment. They had a player with that pedigree last time they were here. India bowled tightly, West Indies took thirty six overs to reach one hundred runs, their total was never going to be good enough. 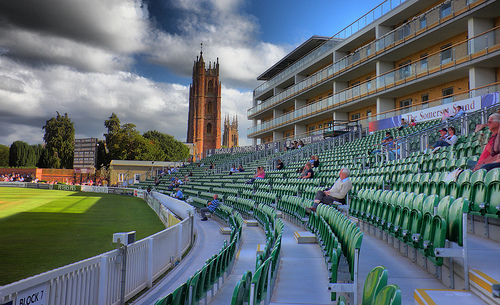 Yes, I agree that with some good cricket being played it is a great shame that there are so few spectators at the games. If it wasn't for the organised school trips it would be a very sad crowd. Hopefully more will be tempted to pay their £10 tomorrow for England v Sri Lanka. Members can even get in free. I took my two kids to a T20 doubleheader Eng v South Africa at Northampton a few years ago. Very disappointed with the crowd, lack of atmosphere and, to be honest, quality of the cricket that day. But saw Natalie Sciver's 137 on the TV earlier this week - seriously impressive, best woman's innings I've ever seen. The partnership between India captain Mithali Raj and the 19 year old opener Smriti Mandhana was some of the most attractive batting I've seen at Taunton this year. Also hugely impressed with the Indian leg spinner Yadav, her bowling was pace of the ball in the extreme she could not have been bowling much more than 30mph but it was very effective and so difficult to get away. Isn't there a Male Indian bowler Yadav as well? It will be interesting tomorrow to have a look at the pace bowlers and how they have moved on. There was a lot of talk about A 6 foot odd young pace bowler in the Aussie team last time the women were down in Taunton - she'd be about 20 now. I don't think there is any connection with those two. The Indian leg spinner Yadav is so tiny, I read somewhere she is under five feet tall. England women doing very well at Bristol, Taylor and Beaumont both pasted 100 not out, England score 271 for 1 off 40 overs. 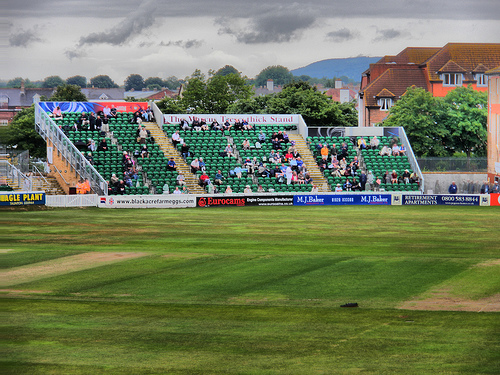 A lot of children in the ground like at Taunton but a lot of empty seats. Sarah Taylor is on absolute fire and has taken over from Charlotte Edwards as the greatest living Englishwoman. 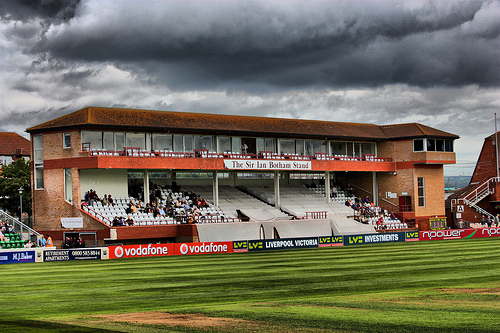 Hoping that the Windies turn up tomorrow against the Indians at Taunton because it is going to be a vey short game if not.